Visit your local library or book store often during the summer. Make sure that young readers have their own library card and consider getting them a special book bag. Investigate summer reading programs at your local library and book stores. Sign up for a summer reading program. 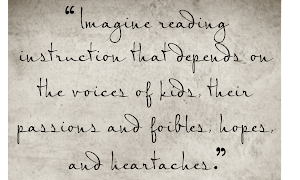 If kids see adults reading they will understand the importance of reading. My 8th grade son and I still love to read side by side, especially during the summer. 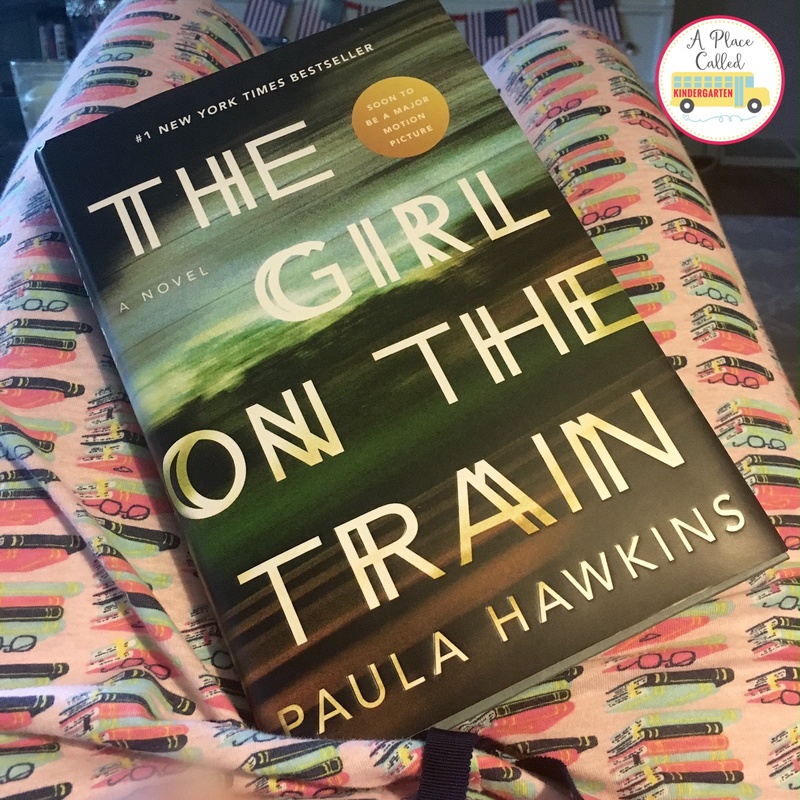 This summer I have been reading in these fun pajama pants. 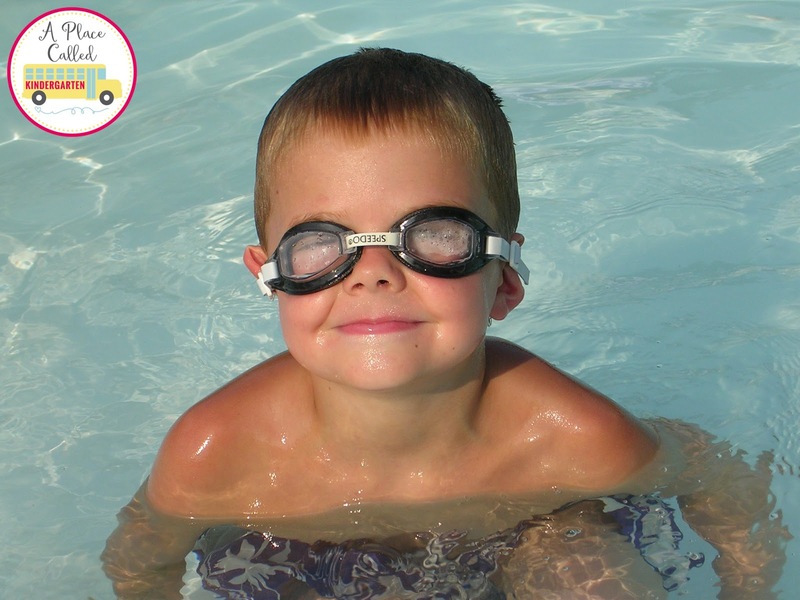 Swimming, camps, sports events, vacations and many other activities are fun things to do during the summer. 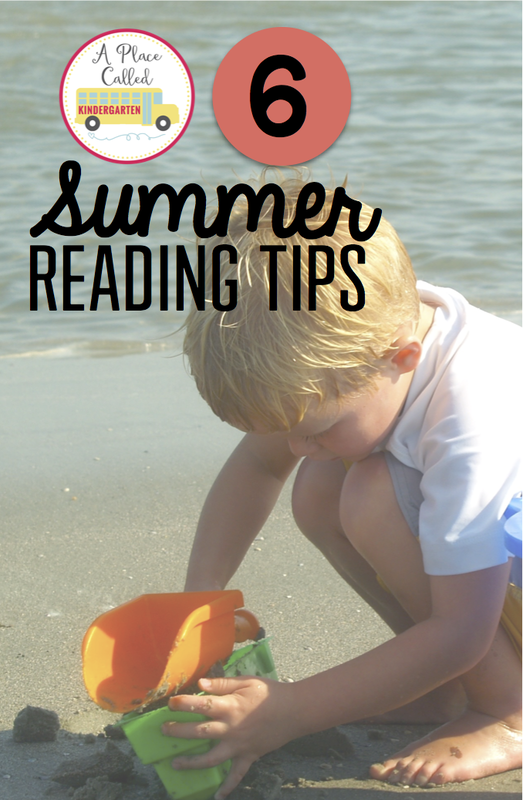 It is important to help young readers fit reading into their busy summer schedule. The best thing to do on a rainy day is to read a book. Make a list of rainy day books so that you are ready when the clouds roll in. 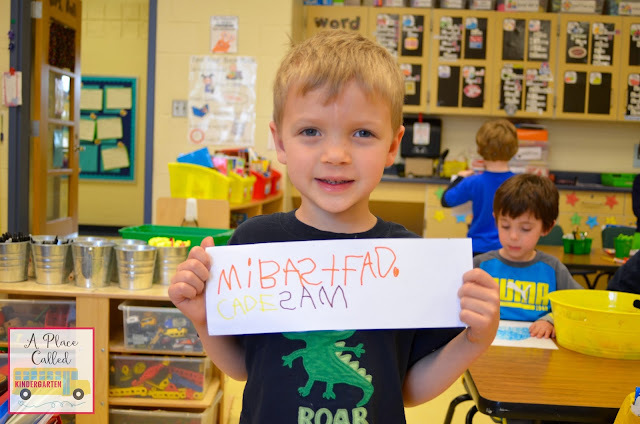 Writing in Kindergarten can be such a daunting task at times. So many kids have never been exposed to writing before. Sometimes they don't even know how to hold a pencil! 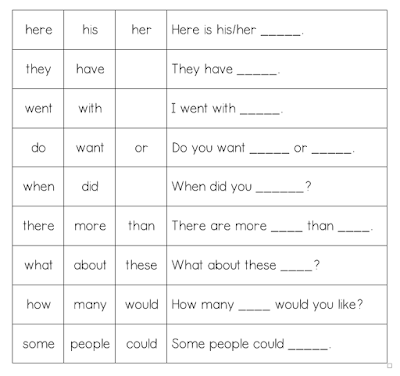 In order to teach Kinders how to write a complete sentence, they also need to understand what a complete sentence is. So often, students at this age speak in single words or phrases. 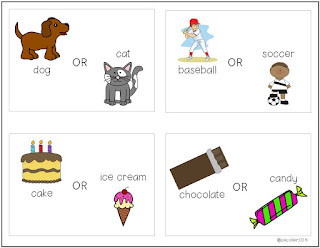 In my writing center, I combine these two skills and embed my sight word lessons into it at the same time! While planning the order in which I teach sight words, I always try to make sure that we can use them to build sentences. 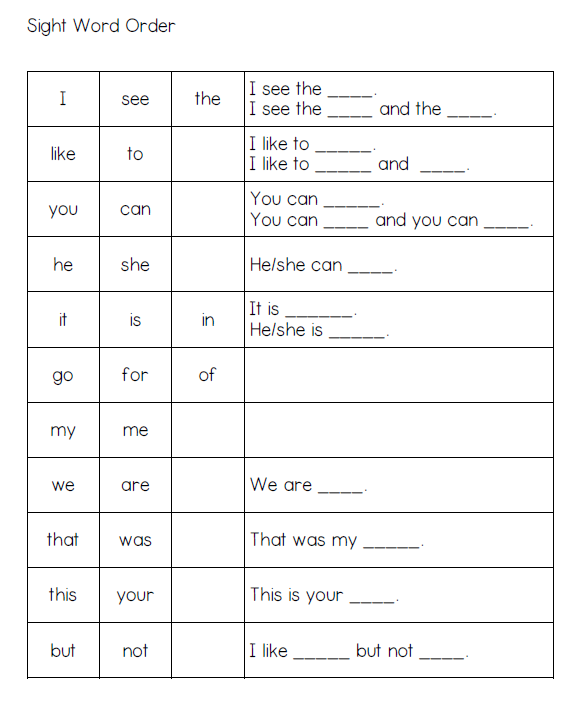 For example, the first sight words that I teach are "I" and "see." This way we can use our new sight words to write a sentence, "I see ___." 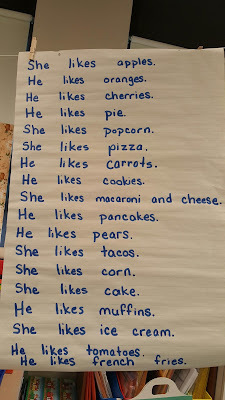 Here is my list of the sight words that I use and the sentences that we create with them! 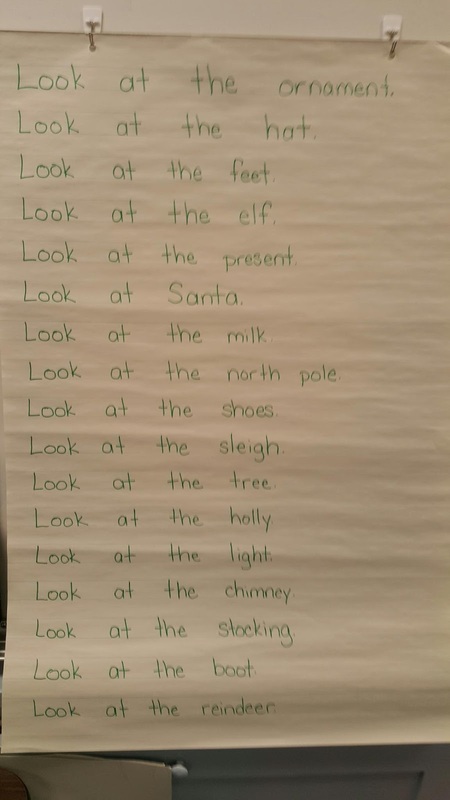 So on Monday, I introduce our new sight words. We even practice reading a few sentences with these sight words in them. On Wednesday, we do a shared writing. 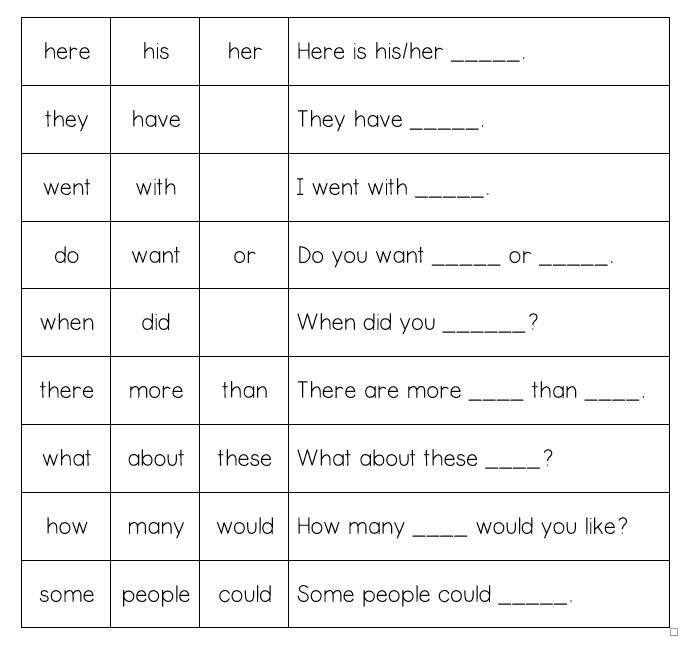 I give each student a word card to help them with building our sentences. 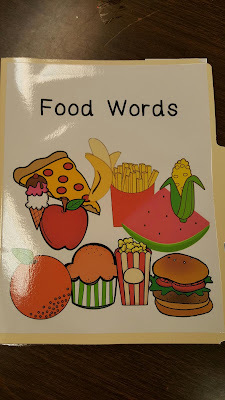 I have several word cards with different themes that are stuck in a folder with Velcro. This way students can manipulate them when we get to center time. 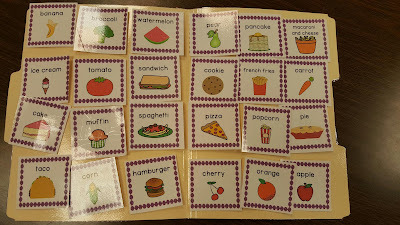 Once each student gets a card, I have them take turns using the word in a complete sentence using our new sight words. I write them down as they tell me. We discuss spacing, capital letters, periods, etc, all while writing the sentences. Once every student has a had a turn, we practice reading everything that we have written. 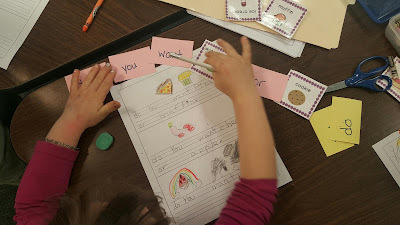 On Friday, each student writes their own sentence using our sight words and a word card that they have chosen. They illustrate their picture and then we put them together into a class book. Our book goes in our library so that our kids can read their own writing during library time! 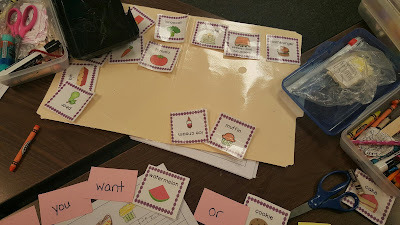 The following week, during writing center, our students will practice building their sentences with word cards, writing them, and illustrating them! They have gotten so good at sight words and writing with this center! Many of my early readers read word by word, with little expression. I need to provide experiences for them to read more fluently and with proper phrasing and intonation. 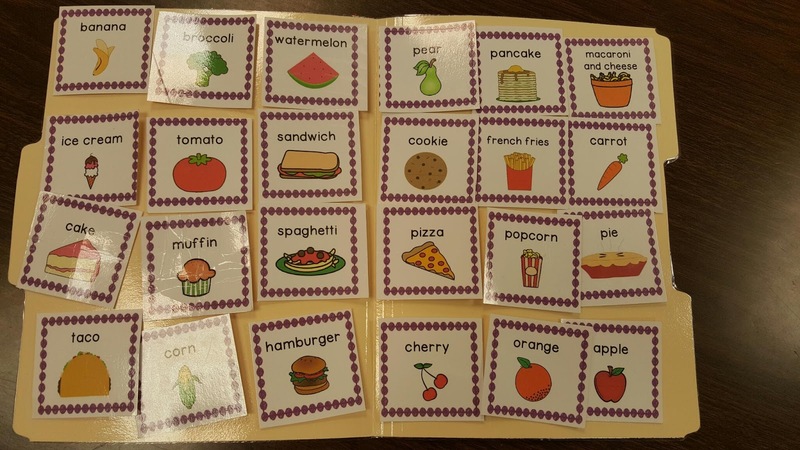 This will not only make their reading sound better, it will make the content more comprehensible. 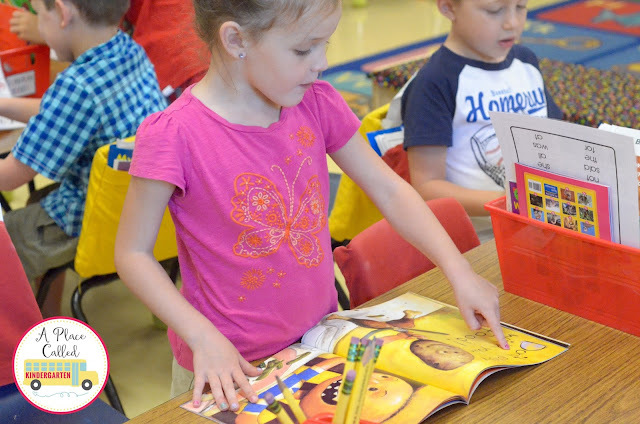 Read-alouds and shared readings allow teachers to model how fluent reading sounds and shapes the understanding of the text. 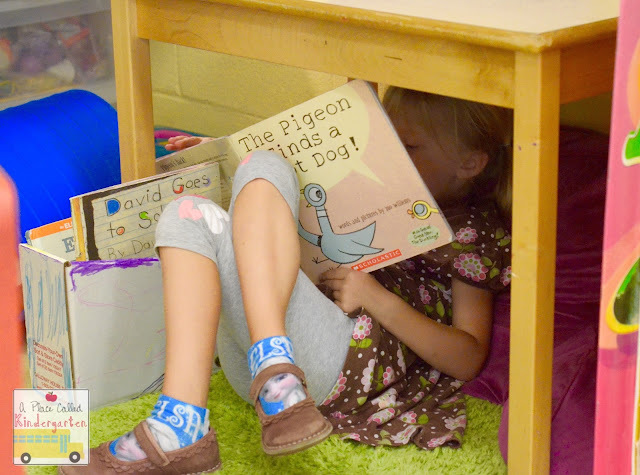 Rereading stories helps students practice reading books on their independent reading level to improve their fluency and comprehension. 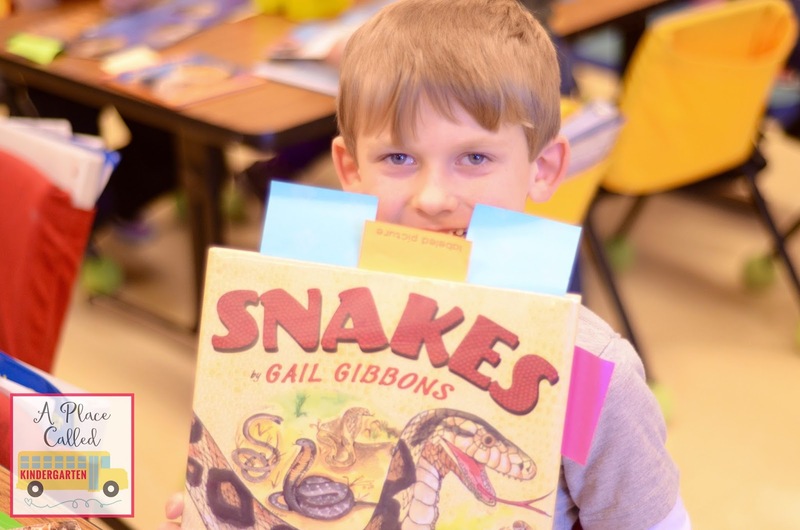 During guided reading groups teachers can build fluency and support children’s expressive reading through choral reading, reading along with books on tape and reader’s theater. I love developing my students’ fluency skills using all of these strategies, but my favorite way to work on fluency and reading expression is reader’s theater. I first fell in love with reader’s theater when I read Sharon Taberski’s book Comprehension From the Ground Up and had the opportunity to meet her. 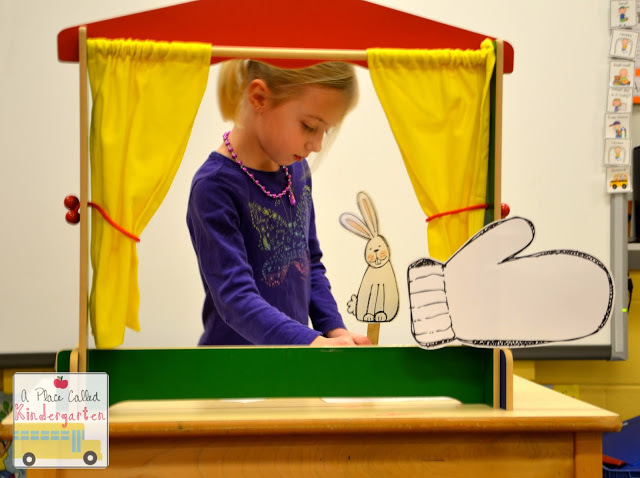 Since there were not many Reader’s Theaters for Kindergarten she encouraged me to write my own. Reader’s theater helps readers develop fluency, build detailed retells and improves phrasing and expression when reading. Reading, speaking and listening are combined to make reading an engaging experience for my students. My students LOVE performing reader’s theaters and look forward to Theater Thursday when we break out the microphone for our weekly performance. 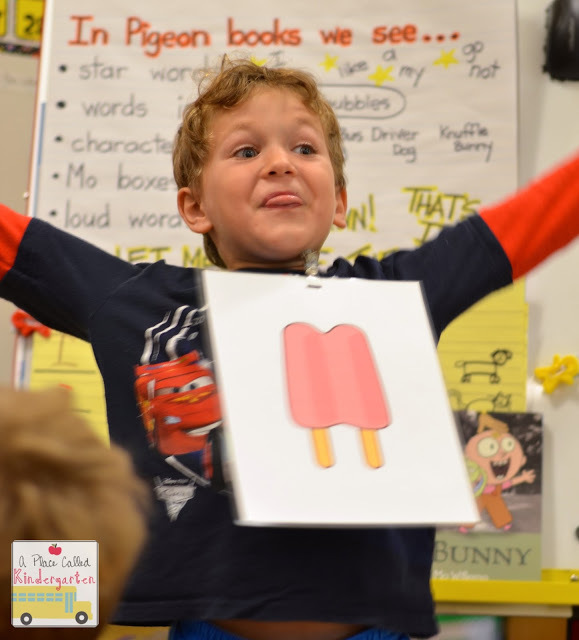 Check out Comprehension From the Ground Up and consider adding reader's theater to your reading workshop. Are You My Mother? from Jonelle Bell on Vimeo. 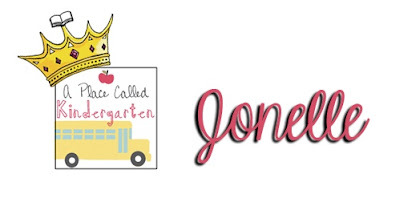 Check out more about Reader's Theater on my blog, A Place Called Kindergarten. Isn't that every teachers dream? You do whole group lesson and after whole group lesson you want the students to transfer your whole group lesson to their independent journal writing. 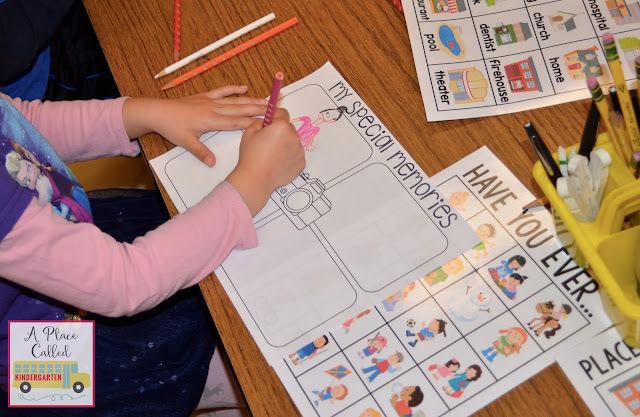 Creating routines in kindergarten is as much about giving them tools, as it is about giving them time to practice the skill. 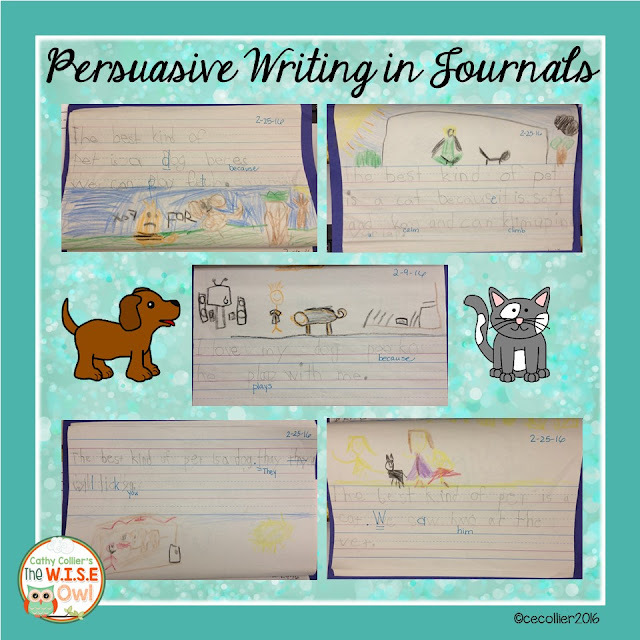 Our school system has adopted a new reading program and one of the writing lessons is persuasive writing. Michelle Brinn, a fantastic kindergarten teacher, was tasked with 2 things: Introduce your students to persuasive writing and do it in a 1/2 day kindergarten program. Decide what two items the students will compare. The topic needs to be something that is easily understood...not every child will have opinions on soccer v baseball (of course, soccer is better) or whether summer or winter is the best season (of course, summer is better). BUT they will probably have an opinion about whether dogs or cats are the better pet. Talk about Option 1: dogs. What are 3 reasons dogs are great. 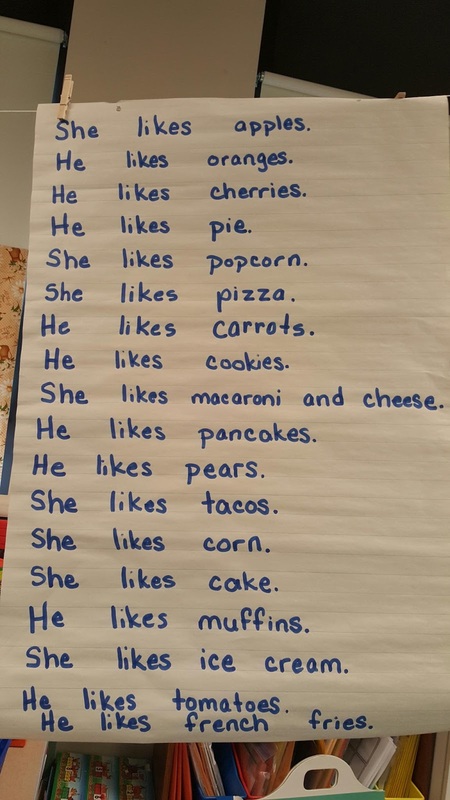 The students were eager to tell why their liked dogs, but we stuck with 3 ideas. She asked them to keep all their other ideas for later in the post. Talk about Option 2: cats. What are 3 reasons cats are better. Once again, students were eager to share their ideas. Students liked how cats were quiet. The vote! Students were asked to vote for their favorite pet. They chose dogs (of course, they did). Michelle asked for more reasons why dogs were the best choice. Their ideas were fantastic. The wrap up! Students were finally asked to write a closing sentence. Michelle asked for MORE reasons dogs were chosen and the students came through with great ideas. With all the chatter and opinions about cats and dogs going on in her classroom, Michelle asked the students to write about it in their journals. We were THRILLED with the results and I think you will be, too. I have said it before, and I'll say it again: Too often we give students excuses, instead of tools. Michelle did a fantastic job of giving her students a tool for persuasive writing. She gave them an easy plan...and time to practice. If you'd like a FREEBIE Persuasive Writing Card, click the image below. Years ago a friend of mine would host soup nights. She would make a few pots of soup (her mom’s beef stew was my favorite), the kids would run around and the adults would visit. Flash forward a few years and we were all too busy with our growing kids to have soup nights, but one of my soup night friends wrote a book about Preschool and Kindergarten writers. In 2008, Matt Glover published his first book with Katie Wood Ray. 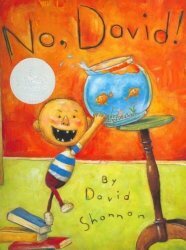 This book, Already Ready Nurturing Writers in Preschool and Kindergarten changed my teaching and classroom writing environment forever. Ray and Glover believe that children do not need to “get ready” to be readers and writers, but that they are already readers and writers. They believe that writing may be a better way to lead children’s literacy development than reading. I have found this to be true in my classroom. 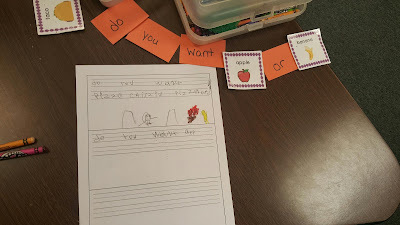 Kindergarteners will write books about topics that interest them. 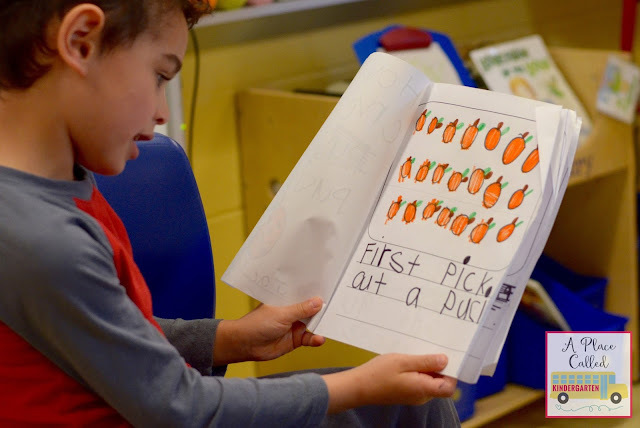 When you present children with mentor texts that they can make connections to, they will write about their own experiences or knowledge and want to have that book in their book box. 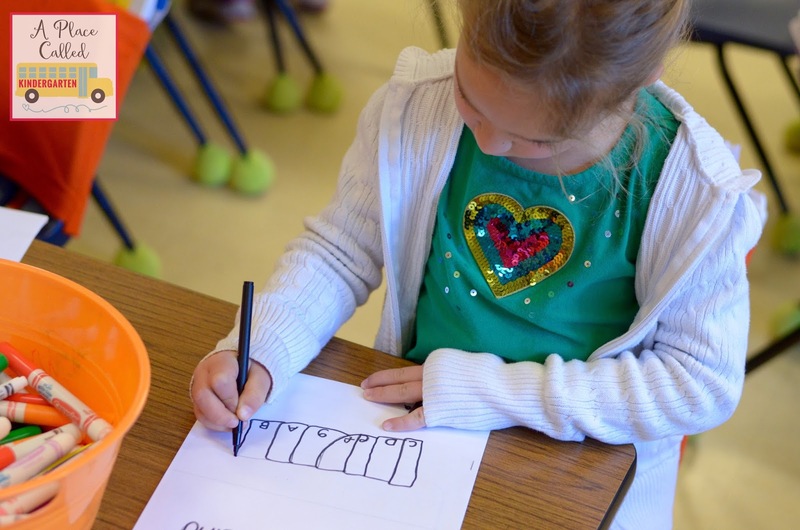 The writing workshop model builds stamina for writing and reading for long periods of time. The more they practice writing and reading the better they become at writing and reading. Using invented spellings transfers to confidence and phonetic skills that students use to stretch out words when reading. It is difficult to make something if you don’t know anything about what it is you are trying to make. Developing an understanding about texts gets students excited about literature and gives them a deeper understanding of stories and how to write them. 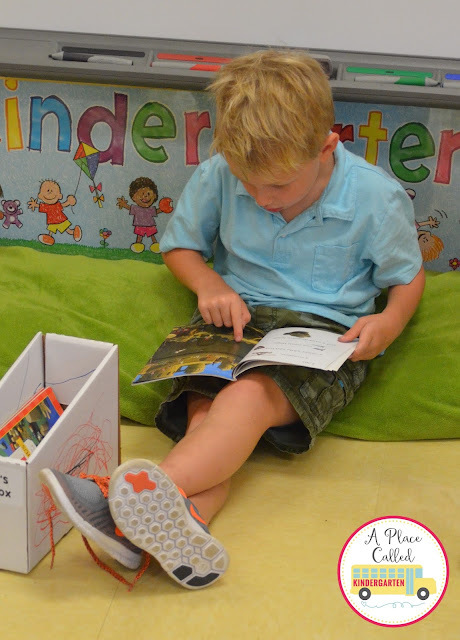 Sharing the books children have made with others builds fluency skills and allows children to express their intended meaning…and they are reading. When children buy into literacy activities it makes others want to join the club even before they know much about reading and writing. Our littlest learners are already ready to be writers and readers. It is our job as teachers to inspire, support and lead them in the right direction. Hi! I am Jonelle Bell from A Place Called Kindergarten. I teach Kindergarten in Ohio and am a mom to 3 sons. (Both rewarding and challenging jobs.) 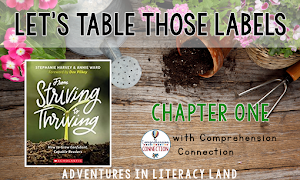 I am excited to be joining Adventures in Literacy Land as it celebrates turning 2. 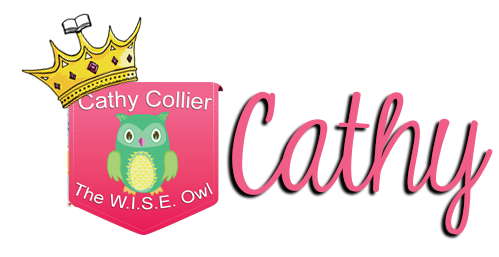 I look forward to sharing my love of literacy with the readers of this blog. 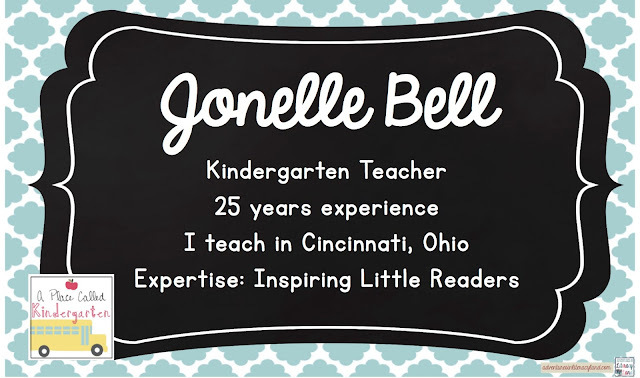 My expertise comes from 25 years of teaching and learning from little readers. There is no greater joy as a Kindergarten teacher than to watch 5 and 6 year olds gain the skills needed to become readers. 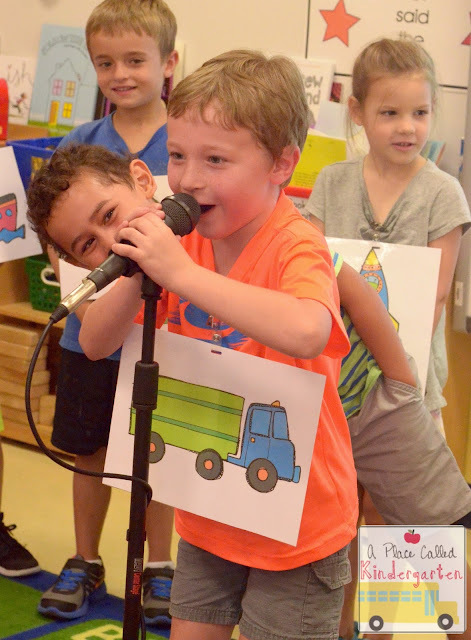 From phonemic awareness, alphabet knowledge, concepts of print, listening comprehension, vocabulary to decoding and comprehension every milestone is a cause for celebration. (Read more about these skills in Jessica Hamilton's post HERE.) 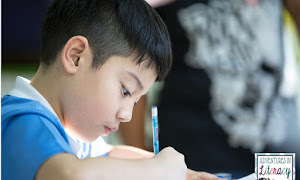 The list of skills little readers need to build a reading foundation is long, but they also need to think of themselves as readers and make connections to books and authors to fall in love with reading. 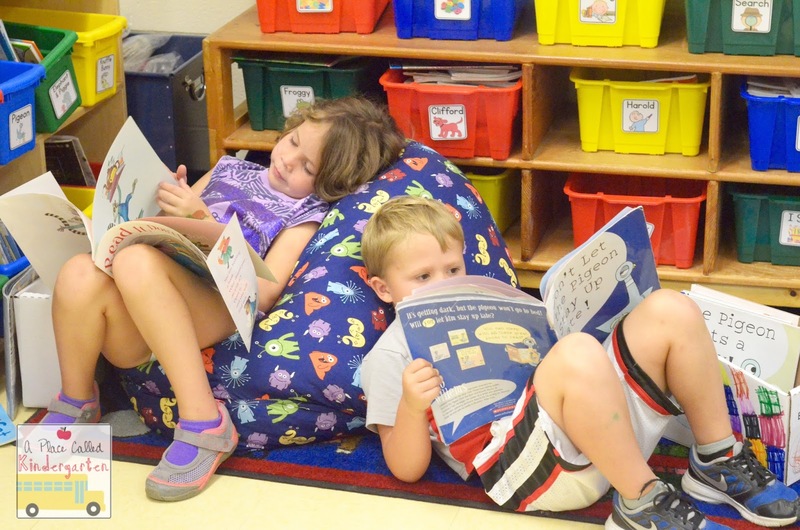 We start the year off with establishing reading routines at home and at school. At the beginning of the year many Kindergarteners do not think of themselves as readers and reading may not be a part of their routine at home. 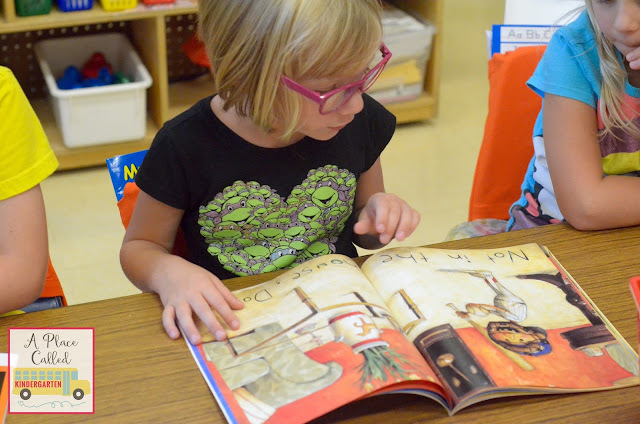 It is important for early readers to spend time reading and being read to. One of the first things that I do at the beginning of the year is help parents understand the importance of making reading a part of their daily routine. 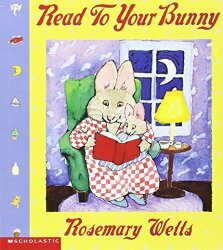 Read to Your Bunny is a great book to read during your parent information night at the beginning of the year to establish the importance of nightly reading. "Read to your bunny...and your bunny will read to you." I have a huge book collection in my classroom. Most of the books go untouched until we spend some time reading about a character, learning about an author and making connections stories. Then...watch out...there becomes a frenzy for that character or author book box. 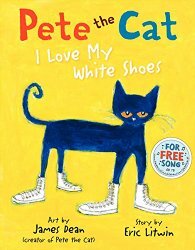 Connecting 5 and 6 year olds to stores, characters and authors make for some interesting conversations. I had a conversation with a student about how he is afraid to go to sleep at night, but is making a plan just like Scardey Squirrel does to help him fall asleep. Priceless! Both at home and at school you need to read little readers their favorite stories again and again and again. 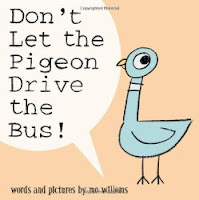 During read to self I love hearing retells of Goldilocks or Pigeon stories, especially from my struggling learners. They are able to do this because we have read those stories several times. I call my students readers and book lovers all throughout the year after we establish what it means to be a community of readers and book lovers. I love teaching literacy skills and inspiring my little readers! It is my hope that they will leave Kindergarten with the confidence to continue to think of themselves as readers and book lovers as they continue to grow in the area of literacy throughout school. Do the very letters R-T-I have you freaking out? Do your palms feel sweaty and is your heart racing? 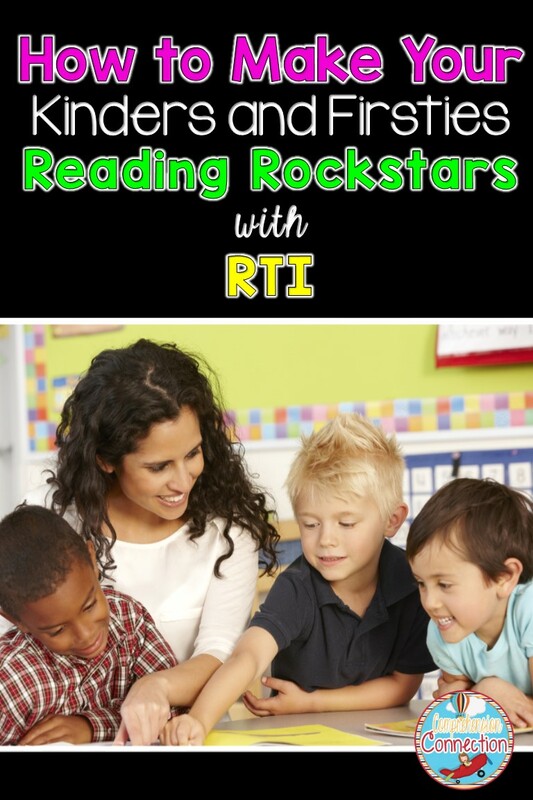 Well, you are probably not alone if this is the case, but I am hoping that your life in kindergarten and first grade will become just a little easier after I lay out a few RTI ideas for you. You may be thinking, "Yeah, that's great, but what do we do to make sure they know these?" Well, we start with identifying what they know, what's in progress, and what's unknown. You may be required to use an assessment from your division or maybe you've created one of your own. If not, the assessment set below would work well for your beginners. Parts of it may not be useful at this time of the year, but you may be able to use pieces of it as a probe for your students as they learn the skills or as part of your progress monitoring. This assessments includes all but the sightword recognition part, but I am going to direct you to a great website that has all you need for sightwords. The School Bell has been around a long time (at least 10 years I think). [Here] is the link to the [Dolch Kit] which presents the Dolch words from highest frequency of use to lowest, activities and games for the word lists, assessment materials, and more. Once you've screened your students, you'll want to rank the results and identify who is lagging with each of the skills and target them. By ranking, you'll be able to form your groups. You'll want to focus the greatest amount of your time on your bottom quartile kids. If you have assistants who work with you regularly or parent volunteers who are able to tutor, charge them with the task of addressing these specific needs with your struggling student(s). 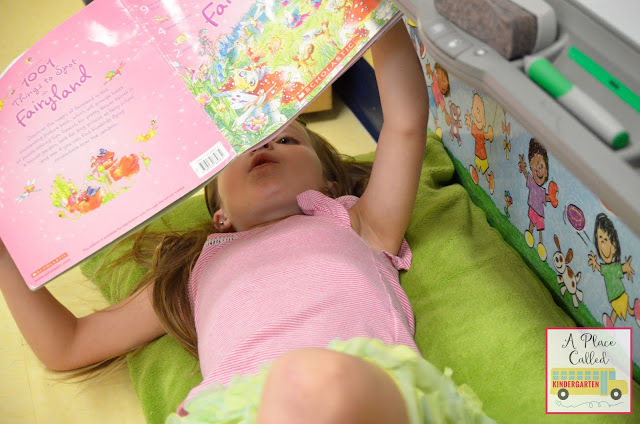 If you set it up in a gamelike format, your little people will enjoy this special attention which will also help you move them along the reading continuum. Of course, you too will want to focus on these skills in your guided reading time too. Rhyme-Sorting pictures, Matching pictures that rhyme, poems, I Have. 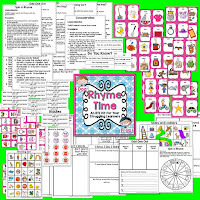 Who has?, Rhyme bingo, and word family work. Concept of Word (COW)-nursery rhymes and simple four line poems, cutting apart sentences and putting them back together, highlighting the space between words, placing touch points below words. and lots of modeling. Sightwords-use the COW time to focus on sightwords in context. 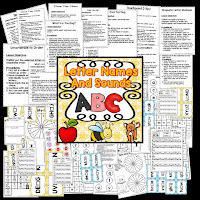 The letter/sound kit includes 70 pages of lesson directions and activities, and the rhyming kit includes 58 pages. 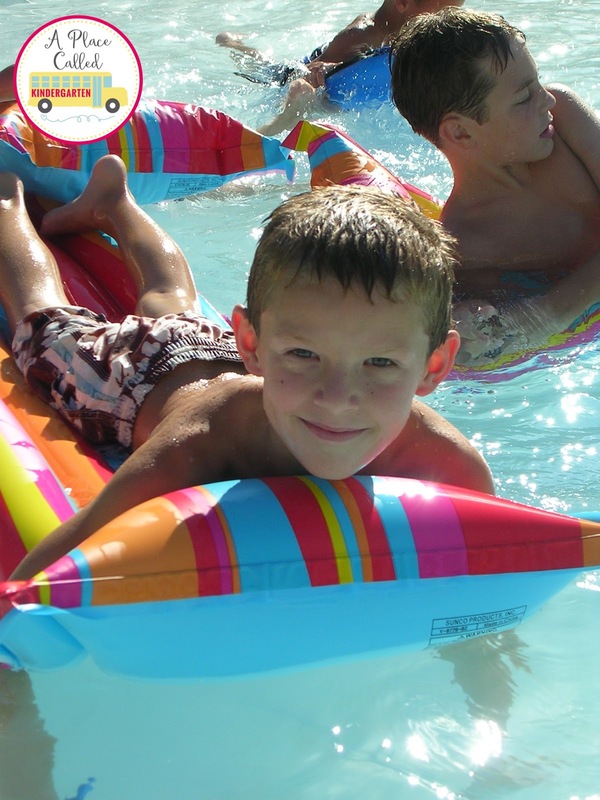 All of the activities are set up to be fun and interactive for tutoring sessions or small group. RTI is a team approach including the regular classroom teacher, paraprofessionals, reading specialists and special educators. The classroom teacher is responsible for tier 1 instruction (your core instruction). This includes both whole and small group lessons within the classroom. 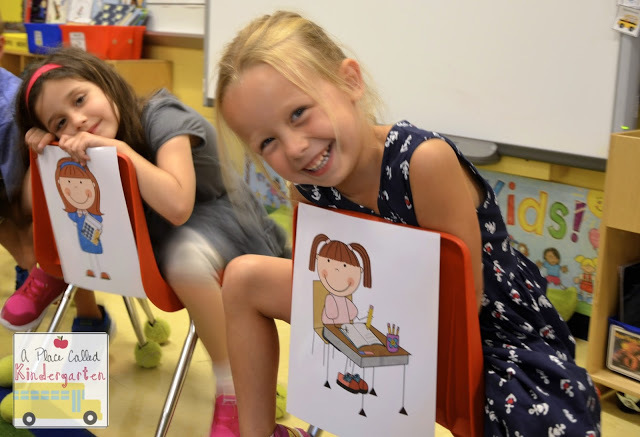 Tier 2 instruction is typically provided by an interventionist in a "push-in" or "pull-out" format, and for those still not progressing, tier 3 instruction is offered in a very small group of 1-3 students per teacher. Tier 3 instruction is best when it's provided by a certified teacher or specialist, but if this is not available, the classroom teacher may be asked to provide tutoring time. Schedules are best determined by the individual schools where the "big picture" includes available personnel, the daily routine, and numbers of students needing assistance. [This powerpoint] is very well done and explains the scheduling process well. It is so important that there is team planning. Those not needing tier 2 or tier 3 instruction should be involved in enrichment activities during the enrichment/remediation block. Once you've got your routine established, the final step is to make sure you monitor your students' progress. With tier 2 students, you will need to assess with an assessment every other week and with tier 3 students, you'll assess weekly. Once mastery is demonstrated, regroup or move to the next lagging skill. There are many great blog posts on this topic out, so if you're looking for information for older readers or more on beginners, you might check out the following blogs and posts. These ladies are much more knowledgeable on this topic than I. As I mentioned, I am still learning too. 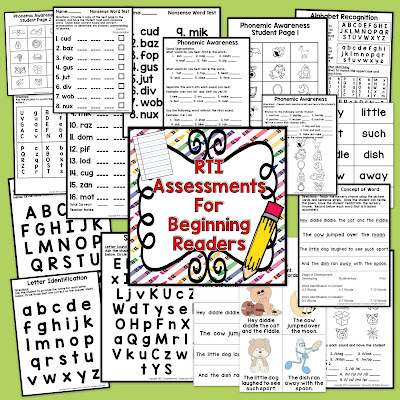 I hope that this helps give you a few ideas to work with to help your beginning readers. If you have a successful RTI program in place, it would be wonderful to hear more from you. Please take a moment and share your experiences.